Buying a house to renovate definitely has its advantages. The most appealing may be the opportunity to make the home the way you want it and ideally increase the value. However, it’s certainly not an easy task to undertake. Keep these considerations in mind before you sign on the dotted line. Some houses are just too far gone to bring back to life. Perhaps the house wasn’t maintained properly and has serious issues that are going to drive up costs. Or it could just need so much work that it’s out of your ability. Here’s how to tell: if the house needs significant structural improvements, skip it. Major overhauls such as plumbing and electric, foundation and extensive roof and wall work are “invisible” and as such do not raise the value of the house enough to offset the cost of renovation. Sometimes you’ll buy a fixer upper through a fore closure or auction – however this may mean you have to buy it “as is” (read: money pit). Obviously, this is not recommended – especially if this is your first time renovating a property. Make sure the house is properly inspected before you purchase it so you can see the full extent of the work that will need to be done. If you’re going to have to knock down walls you might want to consider hiring an engineer and/or architect early in the process. Structural walls or surprises inside the walls may render your dream floor plan unachievable - or extraordinarily expensive. Do your due diligence before you purchase, even if it costs a bit more up front. Who is actually going to be doing the work? Our recommendation is based on experience. Some things like tiling or installing hardwoods and some demolition can be taught at a local home improvement store – or on YouTube. Other skills such as roofing plumbing and electrical work definitely require a professional. Keep in mind that, depending on your renovations, you may need permits before you can get started. 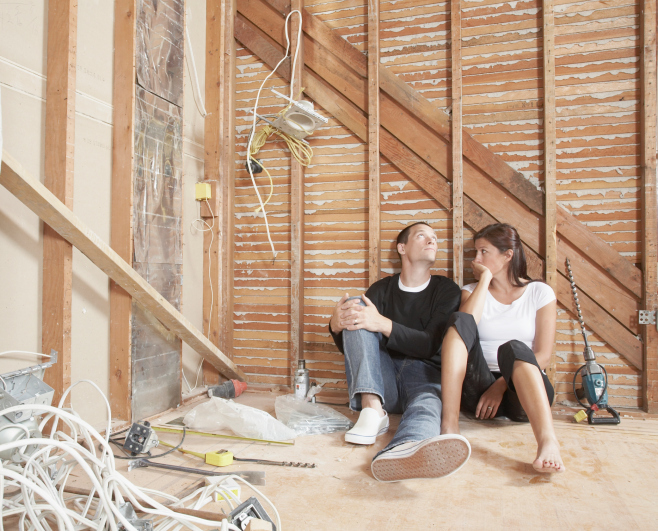 So now that you know the gritty details, do you still want to buy that fixer upper? If so, connect with one of our agents to get started.